To make the review more objective we offer you to compare tyres Tigar Ultra High Performance with any of those on which you drive. You can fill not all fields, but the more you fill, the more motorists will thank you. Москва ВилсПлюс +7 (495) 661-4651 2762 руб. — order discounts! Москва ВилсПлюс +7 (495) 661-4651 3138 руб. — order discounts! Москва ВилсПлюс +7 (495) 661-4651 2952 руб. — order discounts! Москва ВилсПлюс +7 (495) 661-4651 3123 руб. — order discounts! Ultra High Performance 215 / 55 R16 93 V 3882 руб. Москва ВилсПлюс +7 (495) 661-4651 3882 руб. — order discounts! Москва ВилсПлюс +7 (495) 661-4651 4286 руб. — order discounts! Ultra High Performance 205 / 45 R17 3723 руб. Ultra High Performance 205 / 50 R17 93 W 4325 руб. Москва ВилсПлюс +7 (495) 661-4651 4259 руб. — order discounts! Ultra High Performance 205 / 50 R17 93 W +	4170 руб. Ultra High Performance 215 / 40 R17 3834 руб. Ultra High Performance 215 / 45 R17 91 W 4147 руб. Ultra High Performance 215 / 45 R17 91 W +	4227 руб. Ultra High Performance 215 / 50 R17 4306 руб. Ultra High Performance 215 / 50 R17 95 W 4359 руб. Москва ВилсПлюс +7 (495) 661-4651 4319 руб. — order discounts! 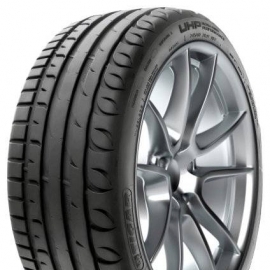 Ultra High Performance 215 / 50 R17 95 W +	4450 руб. Ultra High Performance 215 / 55 R17 4336 руб. Ultra High Performance 215 / 55 R17 98 W 4518 руб. Ultra High Performance 215 / 55 R17 98 W +	4570 руб. Ultra High Performance 215 / 60 R17 4699 руб. Ultra High Performance 215 / 60 R17 96 H 4950 руб. Москва ВилсПлюс +7 (495) 661-4651 4856 руб. — order discounts! Ultra High Performance 225 / 45 R17 4089 руб. Ultra High Performance 225 / 45 R17 94 Y 4110 руб. Ultra High Performance 225 / 45 R17 94 Y +	4197 руб. Ultra High Performance 225 / 50 R17 4458 руб. Москва ВилсПлюс +7 (495) 661-4651 4581 руб. — order discounts! Ultra High Performance 225 / 50 R17 98 W +	4723 руб. Ultra High Performance 225 / 55 R17 4746 руб. Ultra High Performance 225 / 55 R17 101 W 4967 руб. Ultra High Performance 225 / 55 R17 101 W +	5063 руб. Ultra High Performance 235 / 45 R17 4569 руб. Ultra High Performance 235 / 45 R17 94 W 4794 руб. Москва ВилсПлюс +7 (495) 661-4651 4707 руб. — order discounts! Ultra High Performance 235 / 55 R17 5120 руб. Ultra High Performance 235 / 55 R17 103 W +	5497 руб. Ultra High Performance 245 / 45 R17 4759 руб. Ultra High Performance 245 / 45 R17 99 W +	4970 руб. Ultra High Performance 215 / 55 R18 4418 руб. Ultra High Performance 215 / 55 R18 99 V +	4667 руб. Ultra High Performance 225 / 40 R18 4359 руб. Ultra High Performance 225 / 40 R18 92 Y +	4510 руб. Ultra High Performance 225 / 45 R18 4326 руб. Ultra High Performance 225 / 45 R18 95 W 4399 руб. Ultra High Performance 225 / 45 R18 95 W +	4250 руб. Ultra High Performance 235 / 40 R18 4697 руб. Ultra High Performance 235 / 40 R18 95 Y 4829 руб. Ultra High Performance 235 / 40 R18 95 Y +	4917 руб. Ultra High Performance 235 / 45 R18 4795 руб. Ultra High Performance 235 / 45 R18 98 W 5096 руб. Ultra High Performance 235 / 45 R18 98 W +	5130 руб. Ultra High Performance 235 / 55 R18 5540 руб. Ultra High Performance 235 / 55 R18 100 V 5808 руб. Ultra High Performance 245 / 40 R18 5009 руб. Москва ВилсПлюс +7 (495) 661-4651 5106 руб. — order discounts! Ultra High Performance 245 / 40 R18 97 Y +	5260 руб. Ultra High Performance 245 / 45 R18 5071 руб. Ultra High Performance 245 / 45 R18 100 W 5269 руб. Ultra High Performance 245 / 45 R18 100 W +	5070 руб. Ultra High Performance 255 / 35 R18 94 W 5318 руб. Ultra High Performance 255 / 45 R18 5494 руб. Ultra High Performance 255 / 45 R18 103 Y 5851 руб. Ultra High Performance 255 / 35 R19 96 Y 6420 руб. Ultra High Performance 175 / 65 R15 84H ВилсПлюс +7 (495) 661-4651 2 762 руб. order discounts!